Qreative Quilts: Congrats to ??? 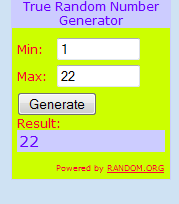 Wow the last person to leave a comment is the lucky winner!!! I didn't even have time to reply to the last few comments. Please accept my apologies, I try to reply to each comment but my kids have been spending the last couple nights from out of town with us and our grand kids don't stay still for one minute. Busy busy busy. Congratulations Sarah!!! I will be contacting you shortly to get your info so I can get these fat quarters out to you ASAP. Thanks for becoming a new follower. Sorry to hear about your friend fighting cancer but wishing her all the best and I will keep your friend in my prayers. How sweet of you to make her a quilt to cheer her up and bring her some comfort. Wishing her strength for the days ahead and a speedy recovery to good health! 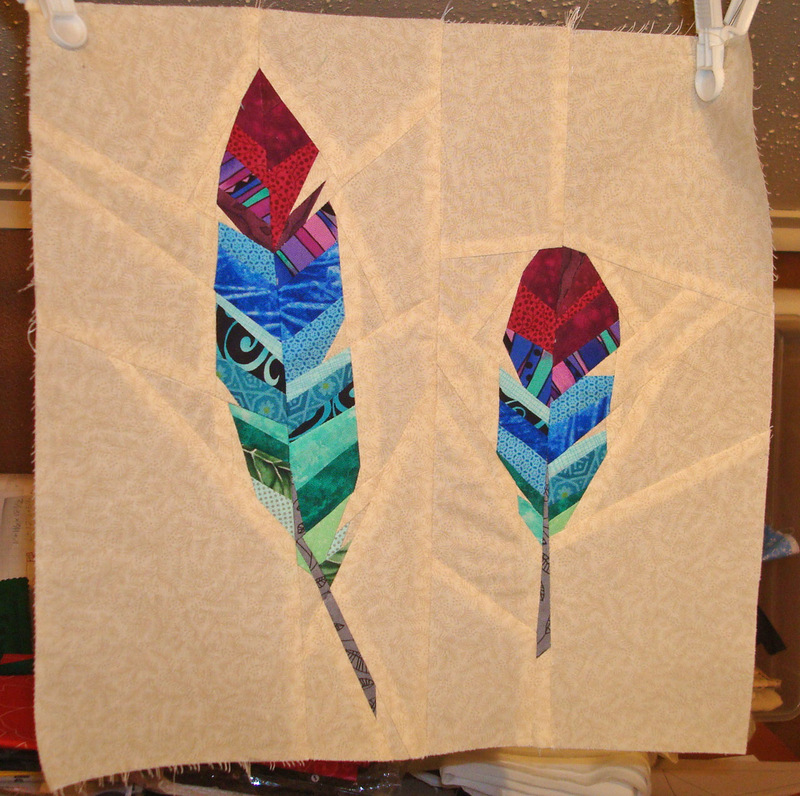 Here is a pic of my two feathers block for the Forest QAL. Wasn't too sure about how to incorporate my colors into these feathers but I think they turned out rather nicely. Now the big challenge will be picking out colors for the Eurasia Jay that is this weeks assignment. But in the meantime I am trying to tackle the Craftsy block this month and it has CURVES. I have yet to put together a curved pieced block. If I can do this...I can do anything...well maybe. Yay, thanks so much! I was very inspired by your blog.